Hello Everyone. I am Very worried about Chapo. Hes having bad allergies and also an infection around his eye. I took him to the vet last week and they gave him some antibiotics also some ointment for his eye. 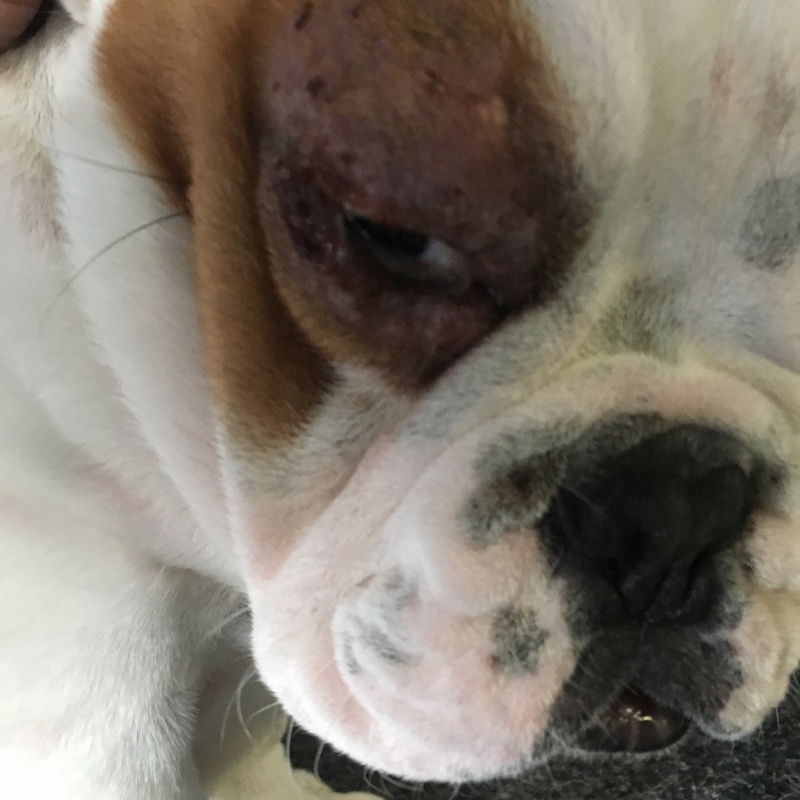 His eye is starting to look a little better but there is still some scarring. He has red spots all over his body and hair is falling out. Some areas are balding out completely. Food: Ive stuck with the same food (Taste of the Wild) which was doing pretty well and made his stool solid and healthy looking compared to before. Should I switch to Raw foods? Baths: I used an antibacterial shampoo & Conditioner since i got Chapo which worked well in the beginning but still Thinking of switching to something else now. I read either Johnson&Johnson Baby soap or Head and shoulders. Aw shame poor boy Even though Taste of the Wild is a very good food he can still be allergic to the ingredients... what type do you feed him? Maybe switch to a different protein or one without grains? 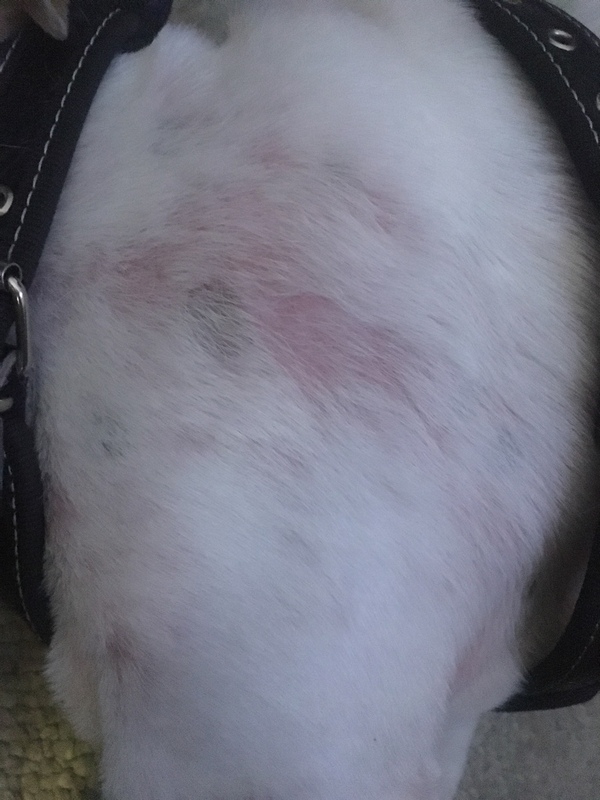 Oh, and did they do a skin scrape to check so it's really allergy and not mites or something else? Acana has single protein low ingredient food. I've been having problems with allergies also. Mine seems to be doing well on the duck Acana. I'm considering allergy testing once mine reaches 2 years old. Switching to home cooked or raw can be done immediately and may be a solution for you to reduce reactions and slowly add other foods in. I recall your other post previously. To eliminate allergies if its feasible put your little guy on home cooking or raw till all disappears. Then after a few months down the road re-introduce the kibbles if thats what you really want. Like mentioned above, start with NO GRAIN and one protein at the time. Acana, Orijen has that. Like that you will know which protein little Chapo cant have. Takes at lease a good whole bag to see if there is any allergies. Not just 2-3 weeks...good month. Also a kin scrap test would be a good idea. Wash all bedding and rinse cycle with pure vinegar. (one cup). The dog food you are giving him isnt great at all. agree with the gang.... get a skin scrape done to rule out mange and also go grain free with one protein. It is a process of elimination at this age. ahhhh....poor baby. Been thru just about everything with my older bulldog, nothing seems to amaze me anymore. Just try to be patient, takes a while before you see changes for the better. They are tough lil pups and he'll get thru this just fine. I would clean the area around his eye with some peroxide on a cotton ball each time before adding ointment. I also bathe my pups with puppy shampoo that has oatmeal. I try not to use anything medicated bc sometimes that just irritates the skin even more. As far as switching his food due to allergies I was told by my vet to try something like salmon, kangaroo, fish, etc...to stay away from beef and/or chicken as these are the protein that most dogs are allergic to. Hope this helps! Your baby's gonna be fine! Poor Chappo that eye looks sore, I went through allergies with Ftse would be fine for months then would break out in different things turned out to be food issues also when he was a baby i noticed he was getting red spots on his belly that was due to me putting fabric softner in his washing i cut that out and no more red spots its just trial and elimination. I feed him the Orange Puppy bag of TOTW Bison Ingredients.